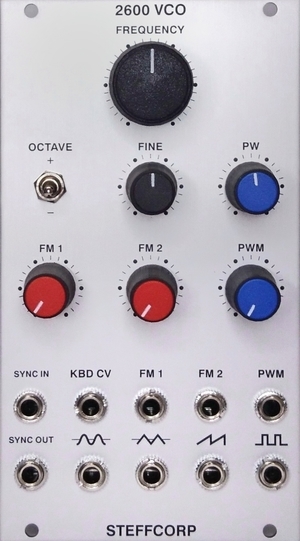 ARP 2600 VCO, based on 4027-1 ’VCO-2’, oscillator sync, buffers, precision reference voltage. 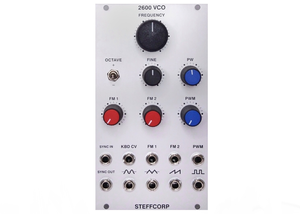 The Steffcorp 2600 VCO is an analogue oscillator with full voltage control based on the 4027-1 ’VCO-2’ oscillator used in the ARP 2600. It’s not just a copy however, we have gone to great lengths to bring it into the 21th century.